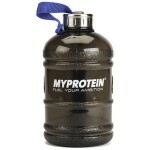 MYPROTEIN HYDRATOR [Bro Jug] - $4.97! Deal Categories: Gym Accessories.Stores: MyProtein. Crazy combo of 45% OFF + 35% OFF during checkout. The price on these Grip Power Pads Resistance Band, drop to $6.99 shipped with Amazon Prime. Reviewers have given it “Excellent” 5 out of 5 star rating. These Knee Compression Sleeve Support, drop to $15.98 shipped at Amazon Prime. Beats By Dre urBeats In Ear Headphones - $16.99 Shipped!! Deal Categories: Gym Accessories.Stores: eBay. eBay has the popular Beats By Dre urBeats In Ear Headphones for $16.99!! Even better – shipping is free! These are NEW & Include the full package.